Card games are being played for ages. It is no secret that people loved and enjoyed playing rummy on all major and important occasions. In many places, it is a tradition to play rummy at special events. People, cutting across all ages, play games for fun and relaxation. 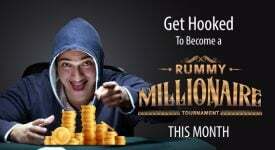 Playing rummy card game has been a tradition in India and celebrities are no exception to it. 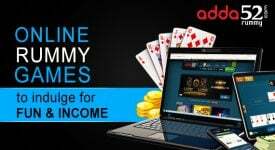 It is widely known that a large number of celebrities play rummy card games to relax and for fun during their hectic traveling and busy shooting/business schedules. Virtually all top-notch actors play rummy card games. It helps them to kill time and get over boredom during the punishing shooting schedules. Many actors consider it as a relaxation and the game helps them do well in the scenes and impress audience with their acting skills. 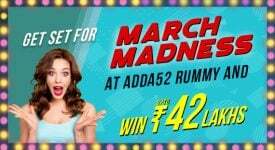 Many may find it surprising to know that great stars like Shah Rukh Khan, called Badshah of Bollywood, Amir Khan, nick-named Mr Perfectionist in the cinema industry, have made known their love for rummy games. 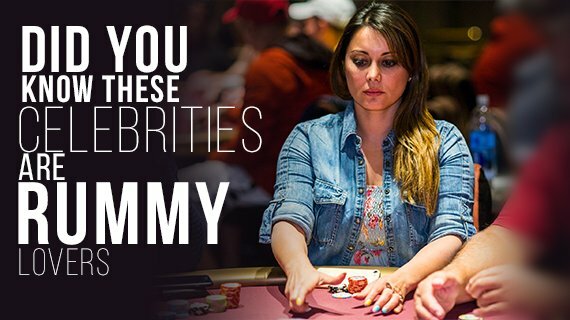 The list of celebrities playing Rummy Card games is virtually endless. It includes virtually who-is-who of film industry and some of them are Shahid Kapoor, Minnisha Lamba Bahubali fame Rana Daggupati, versatile actor Prakash Raj, Ravi Teja, Bhumi Pednekar, Jacqueline Fernandez, Shilpa Shetty, Mandira Bedi, Sushant Singh Rajput, Sidharth Malhotra, Saurabh Shukla, Rajpal Yadav, Brahmanandam and Malhar Thakar. Even RJ Balaji is believed to be an ardent lover of Rummy card games. Even corporate honchos play Rummy online to relieve their stress and relax after their hard day’s work. Former Pepsico CEO and current director in Amazon Indra Nooyi is reported to be a lover of Rummy card games. She would play the game for fun after her busy schedules. Many top executives refrain from making public their love for rummy card games. Many film stars are brand ambassadors for gaming websites. In one of the detergent ads, Telugu superstar Nagarjuna says he is endorsing the product as he was convinced with its qualities after visiting the lab. 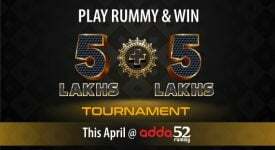 Likewise, the celebs would have endorsed the rummy sites after their personal playing experience. According to media reports, Minnisha, who has made an impact in Bollywood and as well as in south Indian films, had even won Rs 1,40,000 in a domestic online tournament a few years ago. It is not a secret that Minnisha loves playing rummy and poker games at parties whenever she finds time. Film industry sources say that SRK is a very intelligent Rummy player and smart in deciding the stakes. He will enliven the atmosphere during shooting schedules and encourages crew to relax playing rummy. Shahid Kapoor love for rummy was visible as he was seen at one party playing cards with another actor Herman Baweja. According to an old-timer in the film industry, playing rummy was a practice some four-five decades ago. He said that the late actor Sashi Kapoor had set the trend by starting Rummy games parties during Diwali celebrations. Veteran actors Jeetendra and Rakesh Roshan would indulge in high-stakes games, he added. It was normal to have a pack of cards to chill out during the breaks. Then, the celebrities would play with a deck of cards. Now, they play on their mobiles or tablets. Winds of change are blowing and the method of playing has changed. But the love for rummy still remains deep in their heart. They play, enjoy, relax and perform better on the sets in case of film actors. Corporate honchos also play competitively rummy and strike very good deals at aggressive business bids.